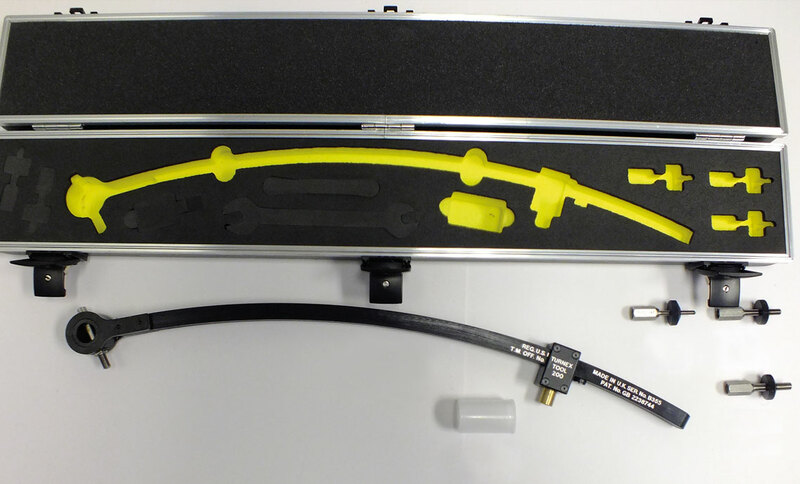 The TURNEX200 kit has a curved lever bar with a trunnion at the forward end. By rotating the trunnion and slide block 180 degrees, the Turnex200 can be quickly converted from concave to convex surfaces and vice versa. The TURNEX200 is unique in that it can be used very effectively on either concave or convex surfaces e.g. engine panels, body fairings, flying surfaces and landing lamp covers.